I am here today to talk about some of the security implications of Radio Frequency Identification. RFID tags are remotely-powered data carriers that resemble the theft control tags that you might find in a sweater when buying clothing from a store. Like theft-control tags, RFID tags are powered and accessed from a distance using radio waves, but RFID tags differ from theft-control tags in that they tend to have more storage space and processing power. RFID tags have security issues that have been exposed in the past few years. 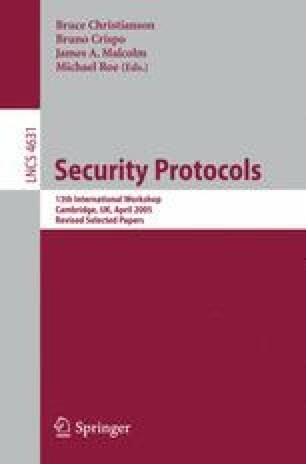 The heart of the problem is that RFID tags don’t usually support cryptography, plus RFID application scenarios are usually not conducive to commonly performed security operations like key management; in fact, many security and privacy issues that generally exist in ubiquitous computing reappear in RFID applications specifically.